Fantastic long brown Pirate fancy dress wig, attached on a suede effect bandana with four braids (with great bead detail). 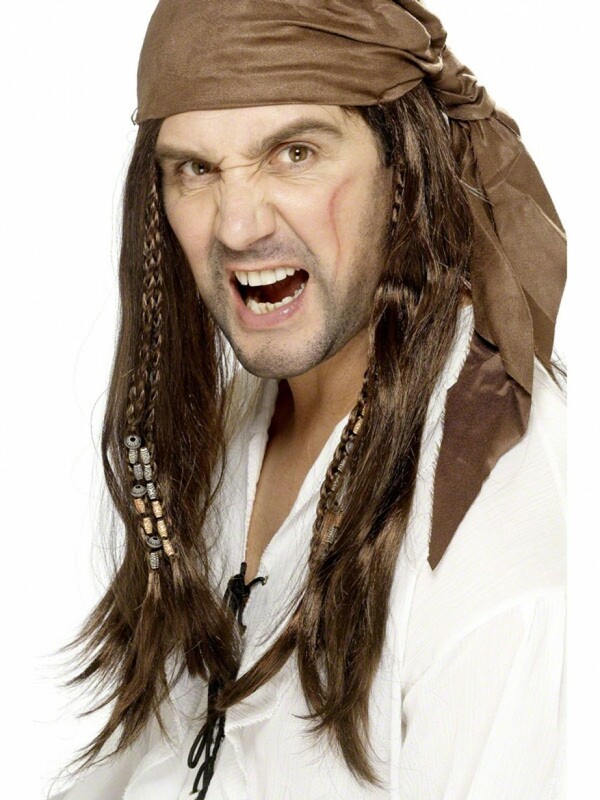 A great Pirate fancy dress wig, which is attached on a netting wig cap, with suede bandana cap. The hair is brown, with shiny long design, as pictured. There are four braids at the front, which have detailed wooden beads design at the bottom.